Three side-splitting stories in one great picture book! 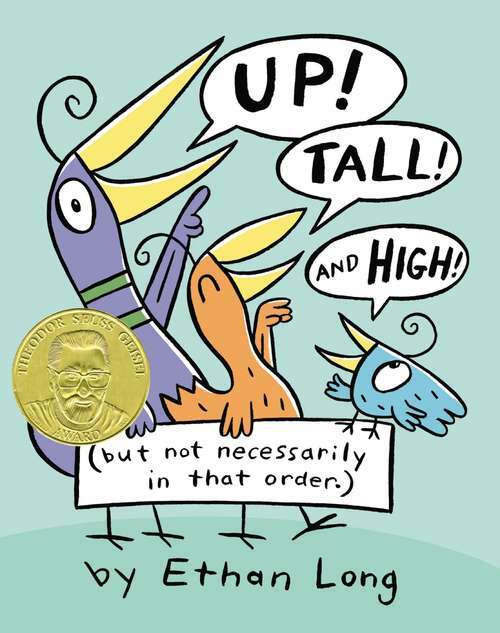 In three laugh-out-loud situations, an irresistible cast of colorful birds illustrate the concepts of "up," "tall" and "high. " First, a short peacock proves that he may not be tall, but he definitely isn't small. Then, a resourceful bird helps his penguin friend find a way to fly. Finally, two birds want to live in the same tree, but what goes up must come down! Each short story features a flap that reveals a surprise twist. With fun fold-outs, easy-to-read text, and a hilarious cast of characters, these stories beg preschoolers and emerging readers to act them out again and again.